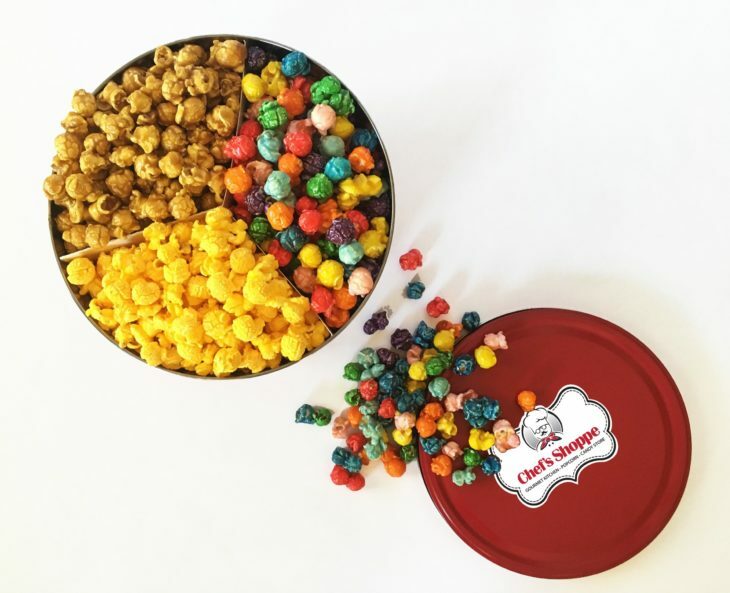 Choose from 70+ flavors of fresh-popped gourmet popcorn. Stop in to taste for yourself and try a free sample of any flavor you like, and call us for the most up-to-date list of our additional seasonally rotating flavors as well. Click here to view our Popcorn Menu. Choose from some of our most POPular flavor combinations or mix and match with your very own favorites to fill our tins, available in 3 different sizes. 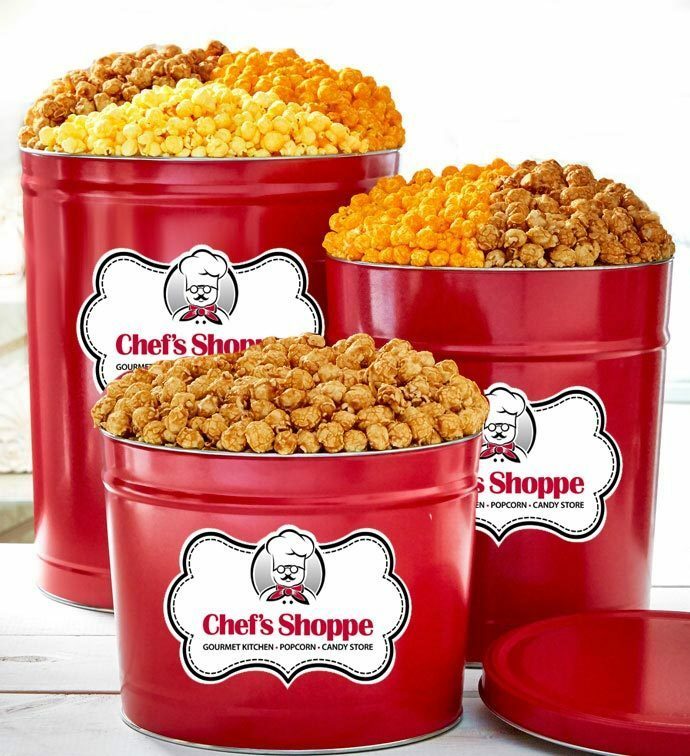 Chef's Shoppe Popcorn Tins make great gifts for clients, friends and family! Click here for more details. Click here for more details. We're excited to announce the newest addition to our Popcorn Shoppe...the POPCORN CLUB! 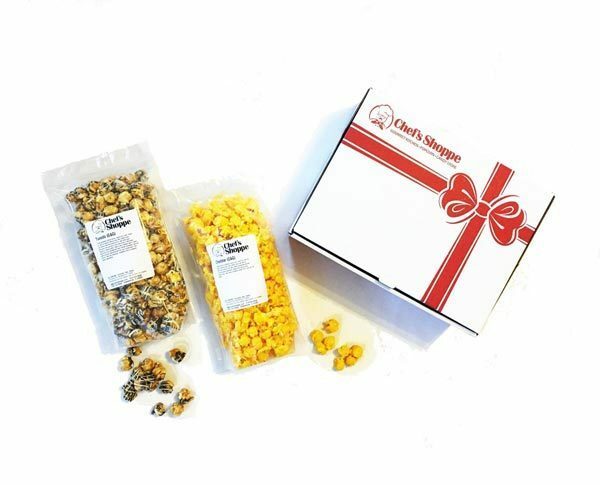 Now you can enjoy and share the gift of Chef's Shoppe's Gourmet Popcorn, delivered right to your door every month. 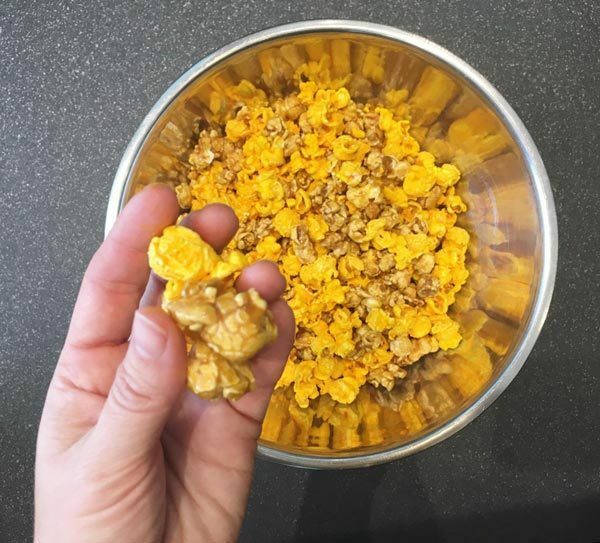 Members will receive one bag of a savory flavor popcorn, and one bag of sweet in each shipment, with different flavors to try every single month throughout the year. Click here for more details on how to join today!